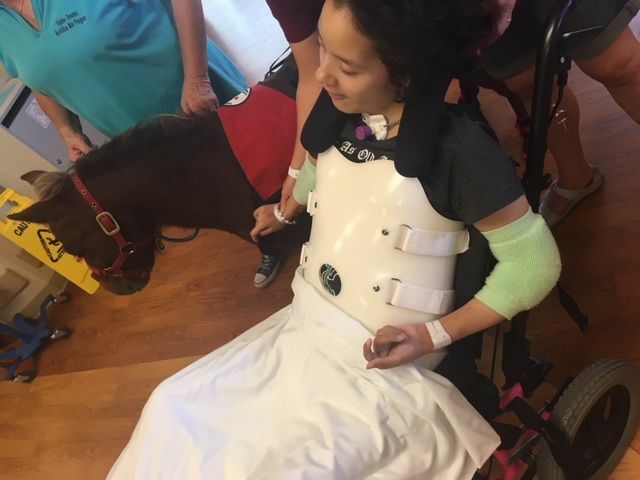 Equine Dreams has been doing EAA (Equine Assisted Activities) since 1996. 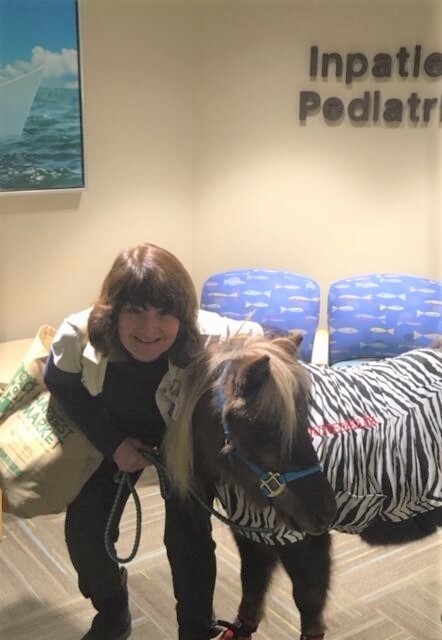 In addition to our miniature horses being part of a Premier Accredited Equine Facility, our visiting team of minis have also passed a comprehensive Pet Partners Evaluation. 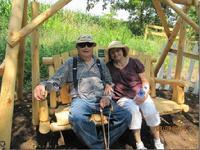 They visit hospitals, nursing homes, schools, homehealth, etc. 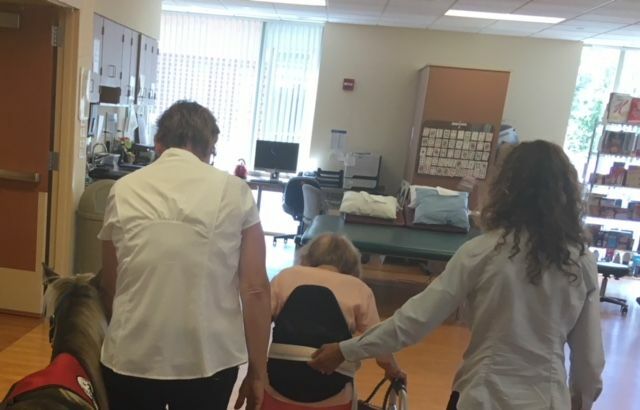 NorthStar Minis have been hand-picked and trained for indoor activities. 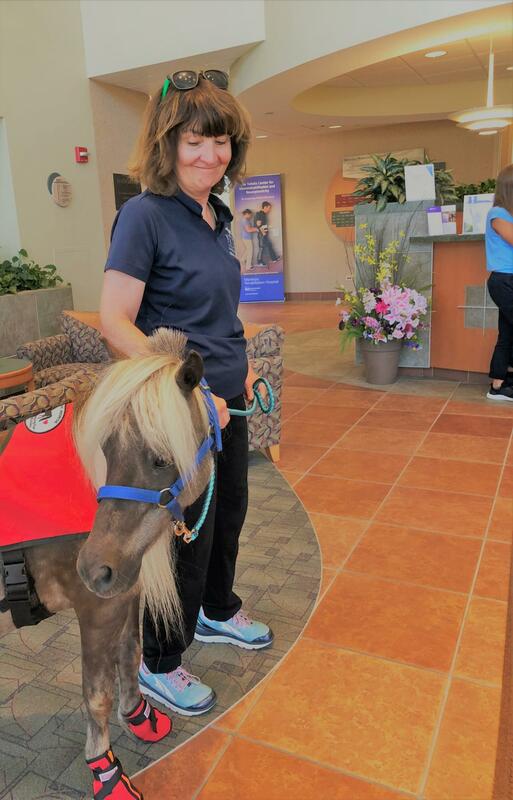 Equine Dreams selects specific minis who enjoy traveling and socializing to become a NorthStar visiting mini. NorthStar Mini visits are accompanied by a PATH Intl. 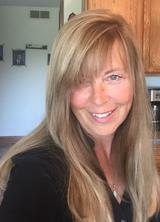 Registered Instructor who provides all training and handling of all Mini horses. 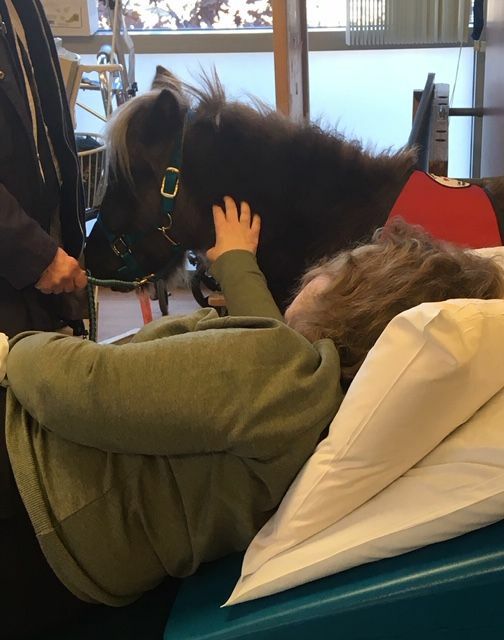 Northstar Minis are Registered Animals, fully trained and members of Equine Dreams, a Premier Accredited Equine Therapeutic Program where they live with their instructors/trainers. 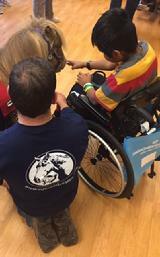 Equine Dreams is a 501c3 not-for-profit volunteer run organization that provides animal assisted activities. 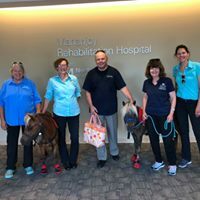 See below for programs offered by Equine Dreams. 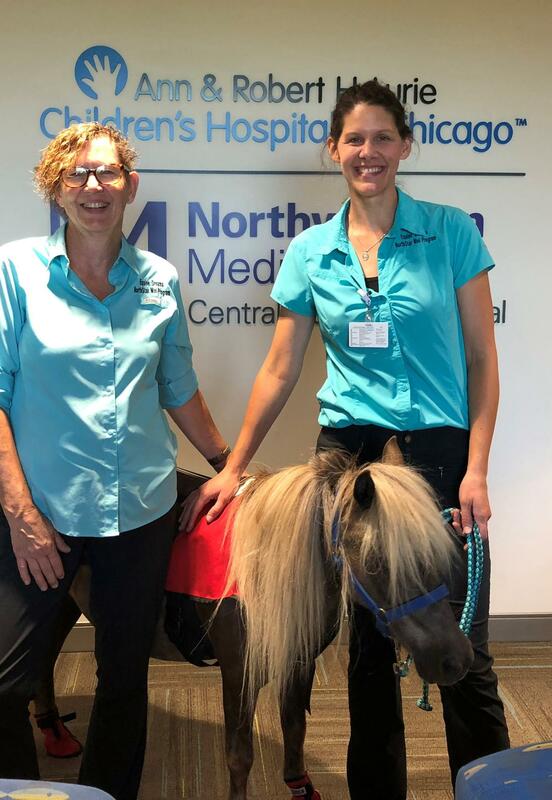 NorthStar Miniature Horse visits are by appointment only. 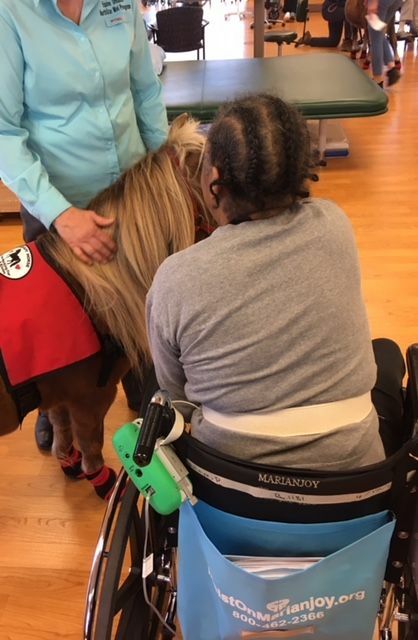 Equine Dreams offers a variety of planned interactions with our northstar minis. 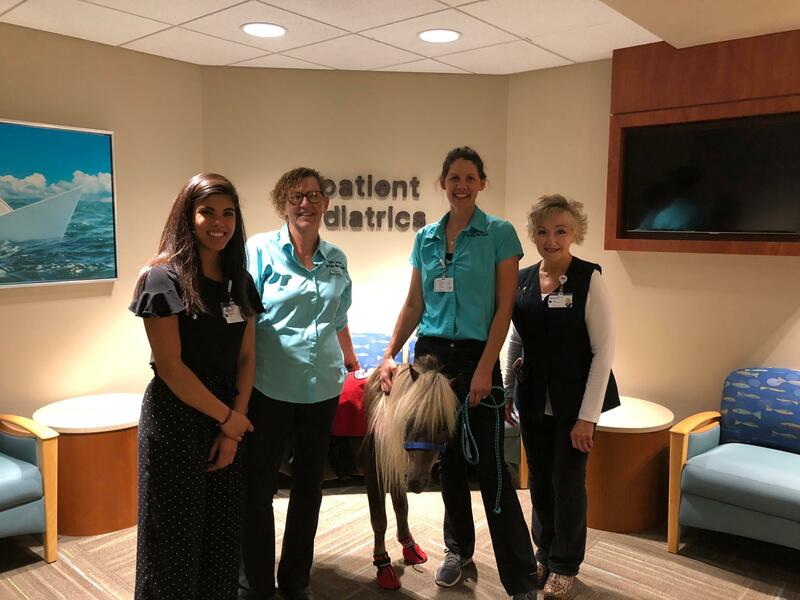 The Pediatric Intensive Care Unit (PICU) at Northwestern Medicine Central DuPage Hospital had some special visitors last month — three miniature therapy horses from Equine Dreams. 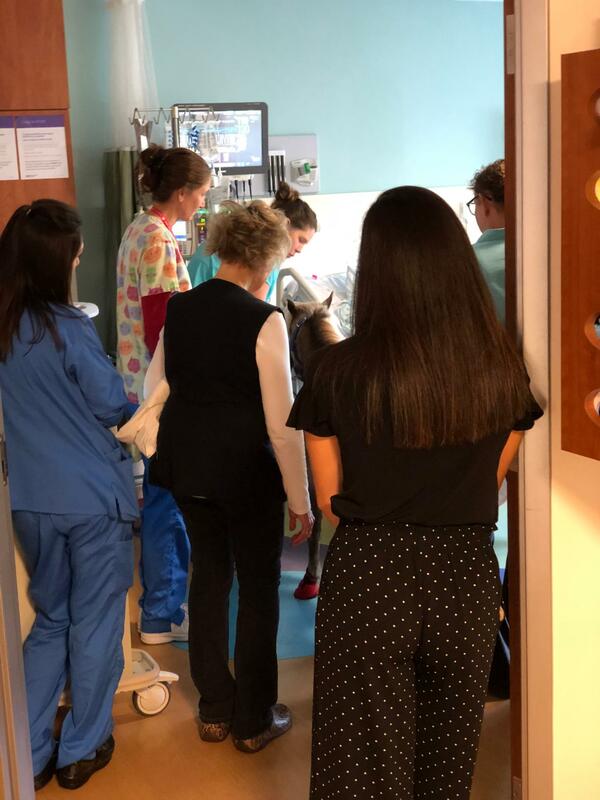 The visit was a trial run to familiarize our pediatric patients and staff with the horses and the animals with the unit. 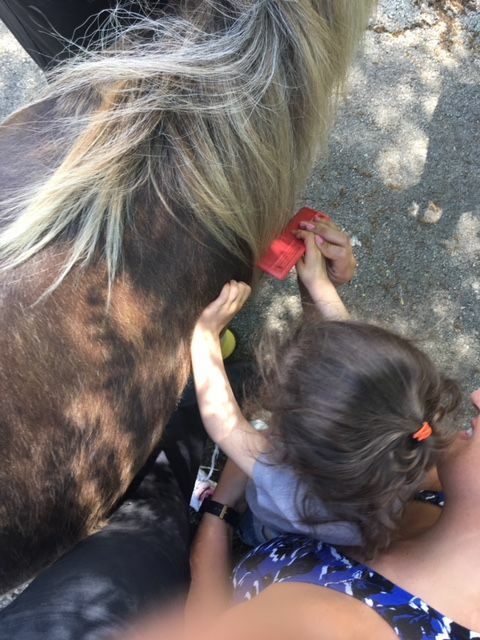 The horses will begin to make monthly appearances starting in August. 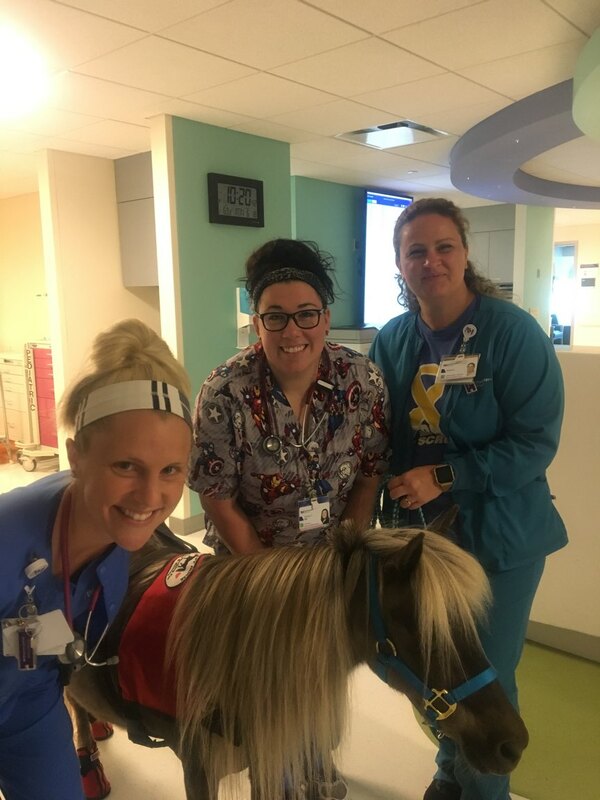 In July, three miniature therapy horses visited the Pediatric Intensive Care Unit (PICU) at Northwestern Medicine Central DuPage Hospital. 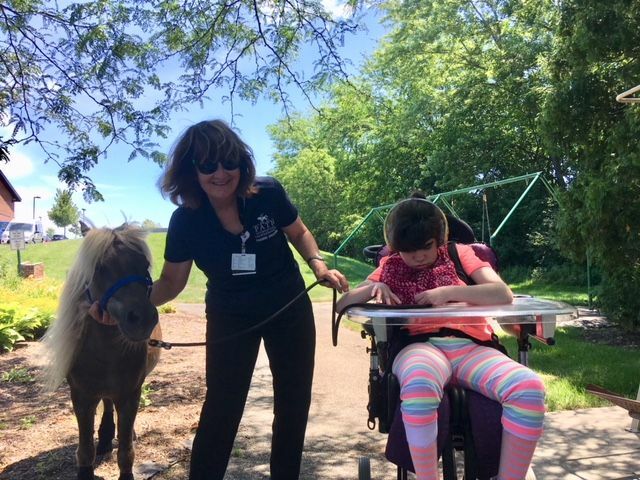 This was the first visit to CDH by the horses from Equine Dreams, a not-for-profit organization that provides therapeutic horseback riding and equine-assisted activities to children and adults with developmental needs. 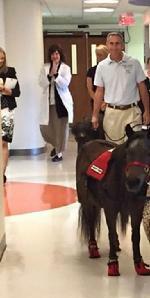 Starting in August, two of the horses will be making appearances in the PICU once a month. 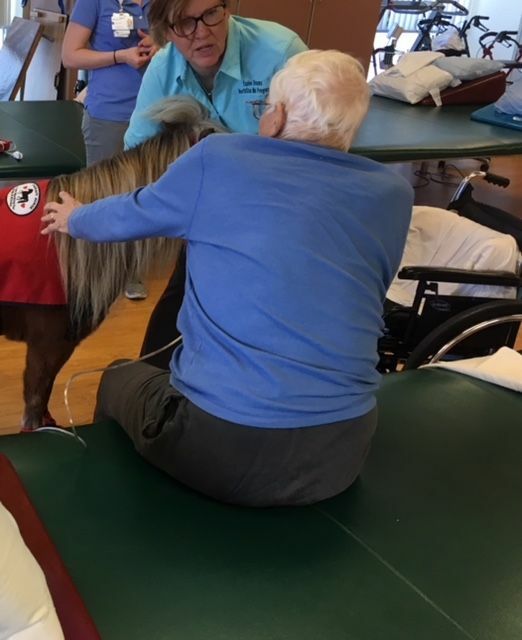 The miniature therapy horses are known for their calm temperament, and children can pet, groom and even accessorize them. 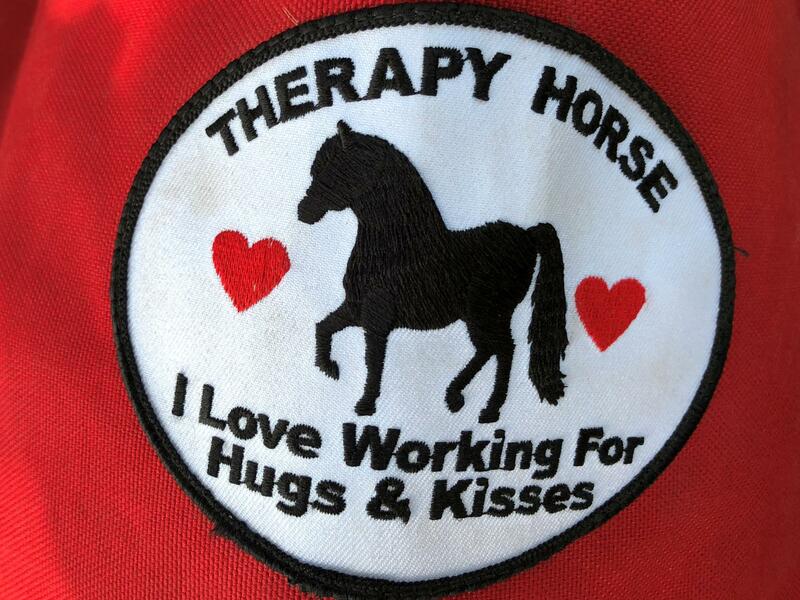 They’re also house trained and only eat plants, and two trainers accompany each horse. 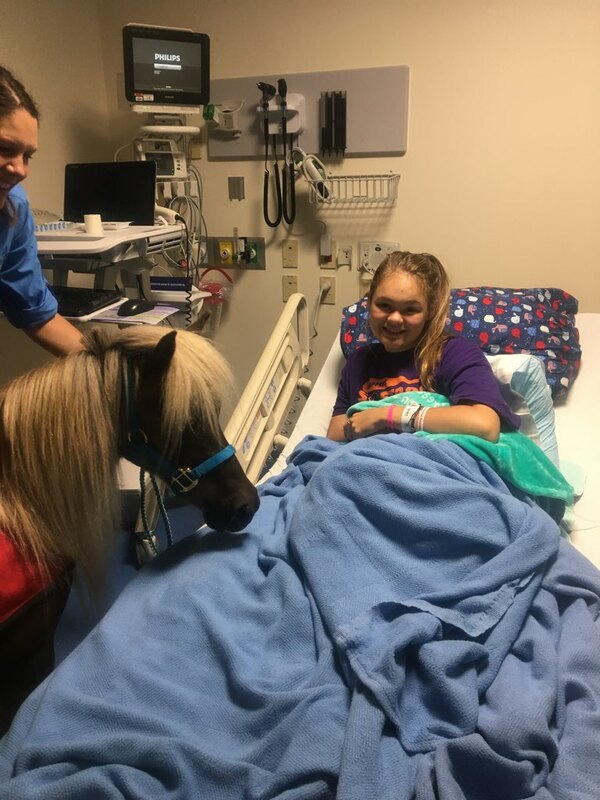 Visits from the horses were approved by Infection Control.